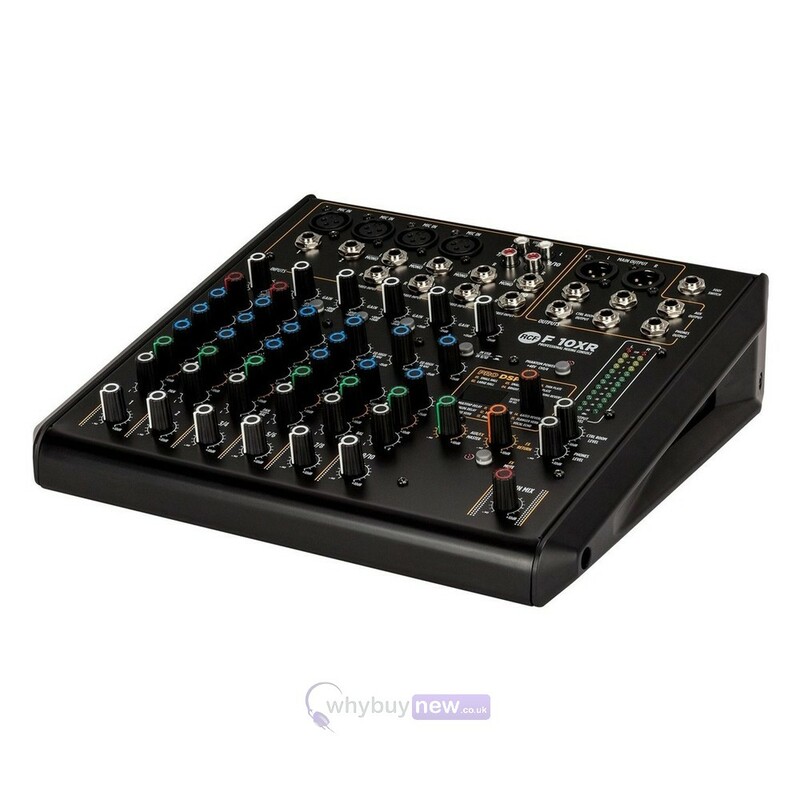 Here we have the RCF F 10XR 10-Channel Mixer with Multi-FX for the professional studio environment. 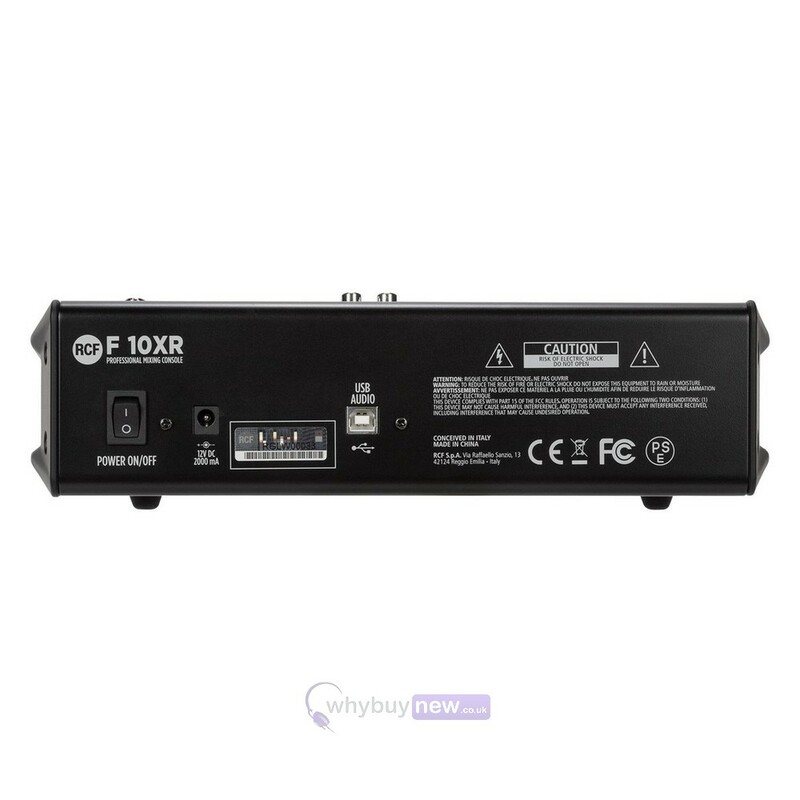 Part of RCF's F series which draws on the legacy of their popular E series, the F 10XR is one of the more compact models but a step up from the F 6X and includes more in/outputs and a USB audio interface to enable stereo recording on computer-based DAW and 2-channel playback. 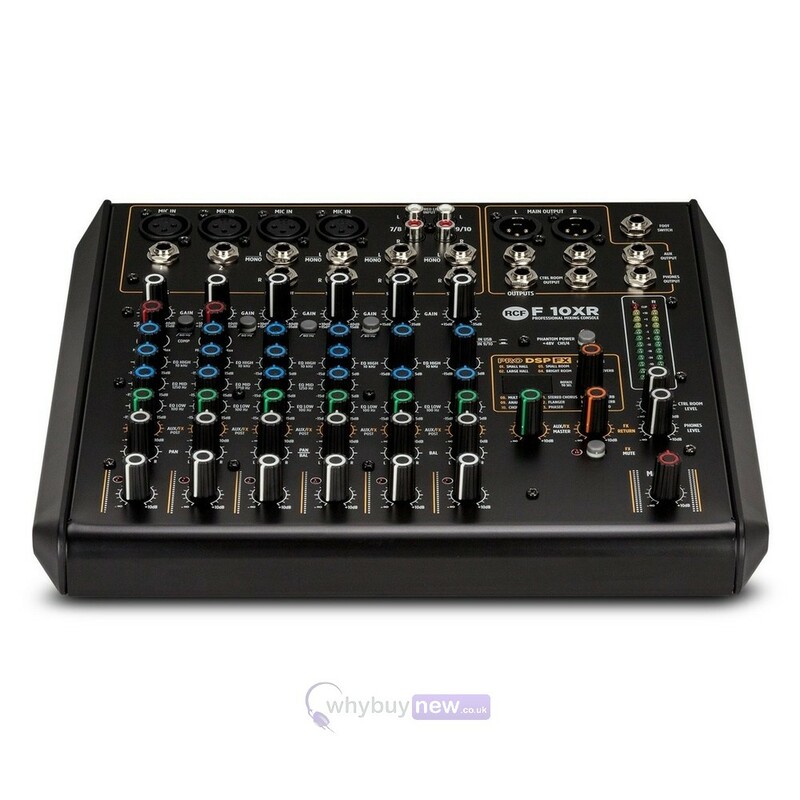 Other features of this fantastic mixing desk include a rugged metal chassis with protective plastic bumpers on each side making it easy to pick up and go, while its attractive satin-black finish means it will look great in any studio. RCF's next generation F Series mixers builds on the rich analog legacy found in the professional E Series, featuring high quality sound in four formats from 6 to 16 channels. A powerful tool for the musician and the sound enthusiast, entirely conceived and designed by the RCF R&D team. 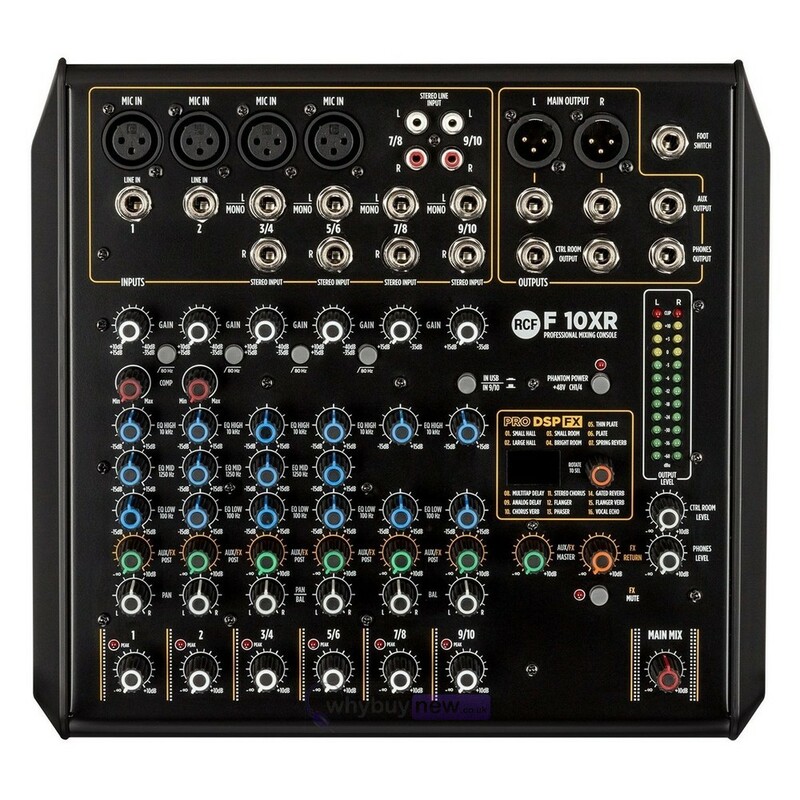 Housed in a sturdy metal chassis, each mixer features a full balanced audio path from input to output and the unique PRO DSP FX: 16 professional effects such as Reverbs (Halls, Rooms, Plates, Spring), Delays (Mono, Stereo and Multitap), Chorus, Flangers and Echoes. 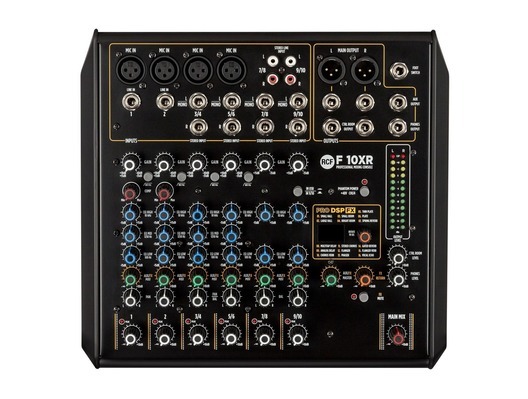 The models F-10XR, F-12XR, and F-16XR, include an USB audio interface, for stereo recording on computer-based DAW and 2-channel playback. 2 bands EQ on stereo channels for precise and exquisitely transparent shaping of sound. High quality preamplifiers with phantom power, inspired by the E-Series Mixers, offer high quality sound and dynamics. Line level signals are less noisy when connected using the separate line input jack socket.